With the help of tiny, see-through fish, Stanford University School of Medicine researchers are homing in on what happens in the brain while you sleep. In a new study, they show how the circadian clock and sleep affect the scope of neuron-to-neuron connections in a particular region of the brain, and they identified a gene that appears to regulate the number of these connections, called synapses. “This is the first time differences in the number of synapses between day and night and between wake and sleep have been shown in a living animal,” said Lior Appelbaum, PhD, co-first author of the study, which appears in the Oct. 6 issue of Neuron. He said further studies using the imaging method he and his colleagues developed could shed more light on how our brain activities vary according to time of day. Appelbaum, who is now a principal investigator in a lab at Bar-Ilan University in Israel, spent five years conducting the work while in the lab of Emmanuel Mignot, MD, PhD, professor of psychiatry and behavioral sciences. 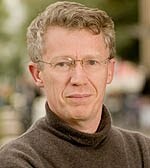 Mignot, who also directs the Stanford Center for Sleep Sciences and Medicine, is co-senior author of the paper; the other first author is Gordon Wang, PhD, a postdoctoral scholar in molecular and cellular physiology. Why we need to sleep and how, exactly, sleep is restorative are two big, unanswered questions in biology. Knowing that brain performance changes throughout the day, researchers believe that daily cycles and sleep regulate “synaptic plasticity” — the ability of synapses to change strength and even form and erase. And they theorize that nighttime changes in the number and strength of synapses help recharge the brain which, in turn, benefits memory, learning and other functions. As the researchers note in their paper, daily cycle-related changes in the number of neuron-to-neuron connections hadn’t previously been shown in a living vertebrate, and the “molecular mechanisms of this type of synaptic plasticity are poorly understood.” So they turned to the zebrafish, a small aquarium pet, for help. Like humans, zebrafish are active during the day and sleep at night — something that researchers in Mignot’s lab discovered in previous research. Larvae of the handy little fish also happen to be transparent, enabling researchers to look directly at the animal’s neuronal network. “This can’t be done in any other vertebrate animal,” said Mignot, who is also the Craig Reynolds Professor of Sleep Medicine, adding that his group was aided by the imaging expertise of co-author Stephen Smith, PhD, professor of molecular and cellular physiology, and his lab. For this study, the researchers used a fluorescence-imaging technique to monitor neural activity in the specific region of the brain that regulates sleeping and waking. With their technique, they were able to watch synapses within individual hypocretin neurons, and they showed that the number of these connections fluctuated between day and night. Appelbaum noted this is the first time rhythmic changes in synapse numbers have been observed in the brain of a living vertebrate. The work also, Mignot said, further demonstrates the brain’s ability to reorganize and adapt to changes. “It gets ready for new activity by telling the neurons they have to shut down synapses during this time of day but increase them at other times of the day,” he said. The researchers determined that the differing number of synapses between day and night was primarily regulated by the body’s internal clock but was also affected by behavior — for instance, how much sleep the fish got. They also identified a gene, NPTX2b, that appears to be involved in regulating the rhythmic changes in synapses. “It’s one actor in an unknown mechanism,” said Appelbaum, explaining it’s unlikely that only one gene is involved, but its identification gets researchers that much closer to understanding the process. Appelbaum said he considers the imaging method itself one of the strongest points of the paper, and by using the technique developed in this study, investigators can image synaptic plasticity in other neuronal systems — circuits — of the zebrafish to expand on these findings. “With these techniques, we can look at other areas of the brain, such as the one in charge of memory, to see how sleep cycles affect synapses,” he said, adding that he doesn’t expect to see the same results in every part of the brain. “Those changes are likely circuit-dependent,” he explained, saying that synaptic plasticity in memory circuits might prove to be more affected by behavior, such as sleep, than by the circadian clock (the opposite of what was found in hypocretin neurons). Knowing this, he said, could help identify which regions of brain are most affected by waking and sleeping and further uncover what happens when we slumber.